Fall is here. 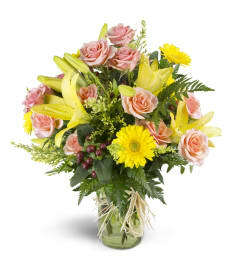 Send a fun and festive arrangement accented with candy corn to any fall festivity. 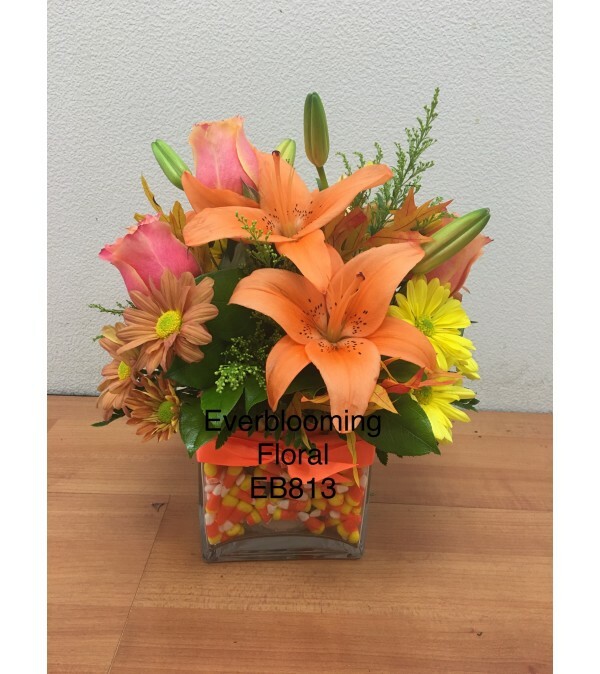 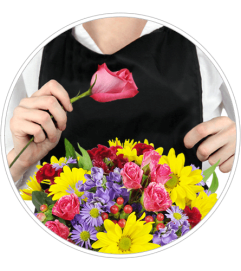 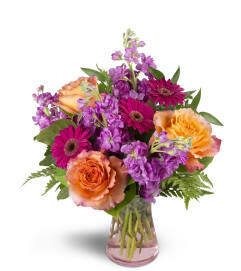 This arrangement will surely put smiles on faces and bring back happy childhood memories.Orange Asiatic Lilies, Roses, Chrysanthemums and more, designed with a vase full of candy corn.Deluxe Arrangement shown.